Since I work at a cafe for almost twelve years now I’m used to talking to people. Some people are quite chatty, while others prefer to drink their beer in silence and read the newspaper in the meantime. Some like small talk about the weather or the latest news, others share the details about their personal lives. So many different persons, so many different preferences. I’m often surprised how many personal stories people share with you and how open they are towards a complete stranger. Quite beautiful. All it takes is some interest and a listening ear (haha not sure if that’s even an English expression..). Ofcourse I LOVE to talk about (healthy) food as well! One of the reasons I started this blog; sharing my recipes, ideas and thoughts about healthy food and living. Place all ingredients (except the shredded coconut) in a foodprocessor, blend until you get a sticky mixture. Now it’s time to get dirty! Shape small candy balls with the mixture by using your hands. I used about a spoonful of the mixture per candy ball. 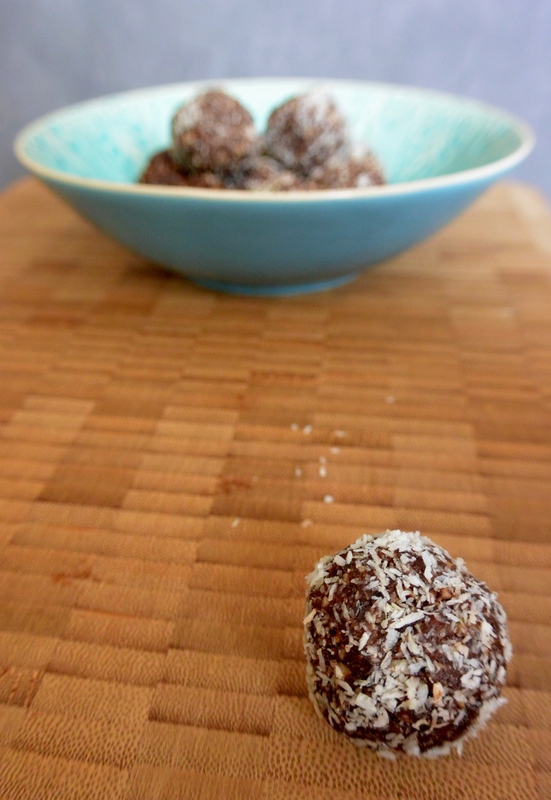 Roll through the shredded coconut and you’re sweet treat is done! You can store the candy balls in an airtight container in the fridge! Why not share one of your choco candy balls with someone and get a conversation going? Any thoughts on my post? Feel free to share them in the comments below! 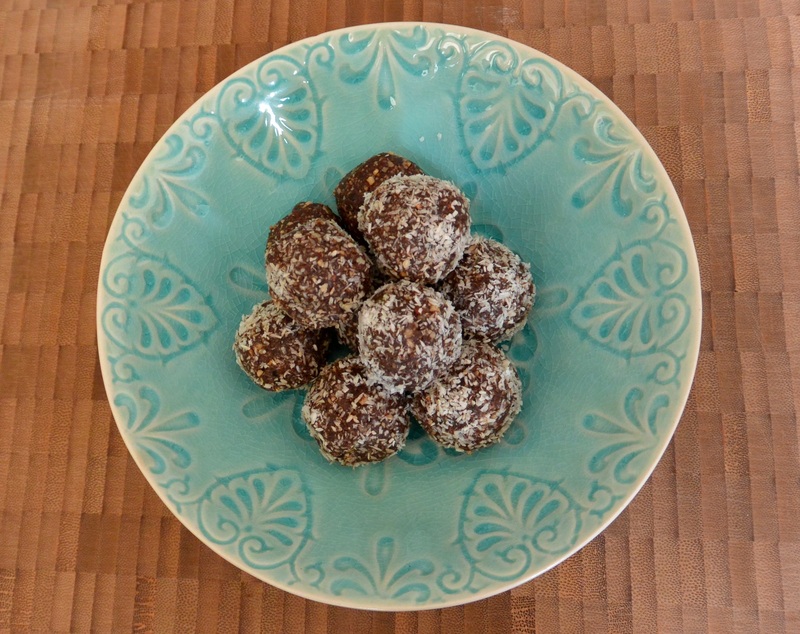 Posted in recipes, Snacks, Sweet TreatsTagged cacao, candy, chocolade, chocolate, daily prompt, fit, food, glutenfree, glutenvrij, healthy lifestyle, healthy snack, homemade, middle seat, natural, nuts, raw, recipe, seeds, snack, soyfree, sugarfree, suikervrij, vegan, zuivelvrijBookmark the permalink.